It was on a sunny afternoon back in September 2002, as I drove through Puligny’s premier crus during the harvest, that I was slowed to a halt by a group of pickers milling about in the road. As I waited for the way to open up I was suddenly aware of Etienne de Montille approaching with a cameraman at his shoulder. 2. not to say to too much, particularly in French! Heaven knows where this will end up. In fact it ended up as 5-10 seconds of Mondovino! I am not, and never was, an employee of Wine Spec. I just contribute stock and occasional assignments. Proudly. Who does not want to have there work seen by so many readers? There is no fame attached among wine drinkers, I have received one letter in 25 years! No, the benefit is the doors that it opens. Why would a busy vigneron give you an hour for some stock photography if he did not take your professionalism seriously? 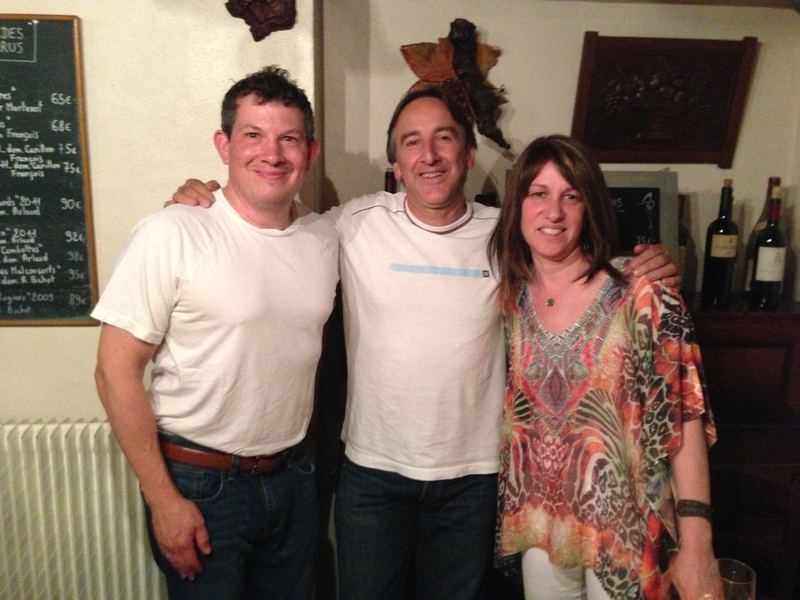 I mention this just to say that the success of my time in Burgundy results from a lot of help along the way. It has not been possible to thank everyone on my Remerciements page in the book so I thought I’d mention a few people here for their contribution. When you start out trying to find your way around Burgundy a visit to “Les Grands Jours de Bourgogne” in March of alternate years,is essential. And not just once, there is so much to take in. I won’t give you the info here, just Google it. 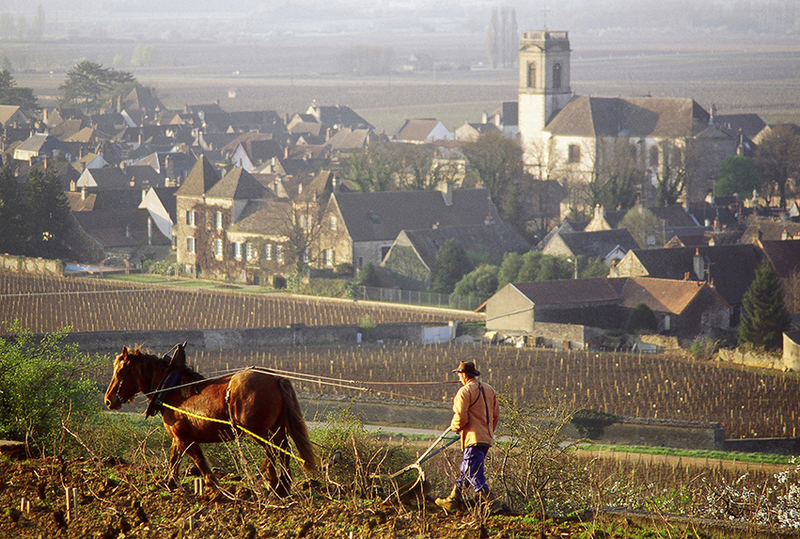 It was during such a visit to Fuissé that I first saw ploughing with horses in Burgundy. What a great shot, I thought. Two years later, on the day after the next GJs I was shooting an early morning view of Pommard when a horse box drove past. I quickly followed and there followed a meeting with Erik Martin, a legend in horse ploughing who was one of the first of a now regularly seen band of ploughers with their horses. Erik moved on to Bordeaux for a while, then back to Burgundy and now I think is somewhere in Spain. Wherever he is, it will be lively. Such friendly contacts are really important when you start to shoot in a new area and he was very helpful. Talking of horses, back in 2010 I was asked to spend 10 days shooting the harvest at Château Pontet-Canet in Pauillac. A photographer friend told me I would go mad spending 10 days in the same place shooting the same thing. But he did not know about the harvest! There is always something different going on and over 10 days you build better working relationships with everyone. You have the opportunity to look at everything afresh after a few days. The Tesserons are not only great hosts, I was given complete freedom on how to approach the job. I think the experience taught me to look more deeply at a smaller space and to take my time – I’m still not good at that! But I’m sure it benefited my work on Corton. 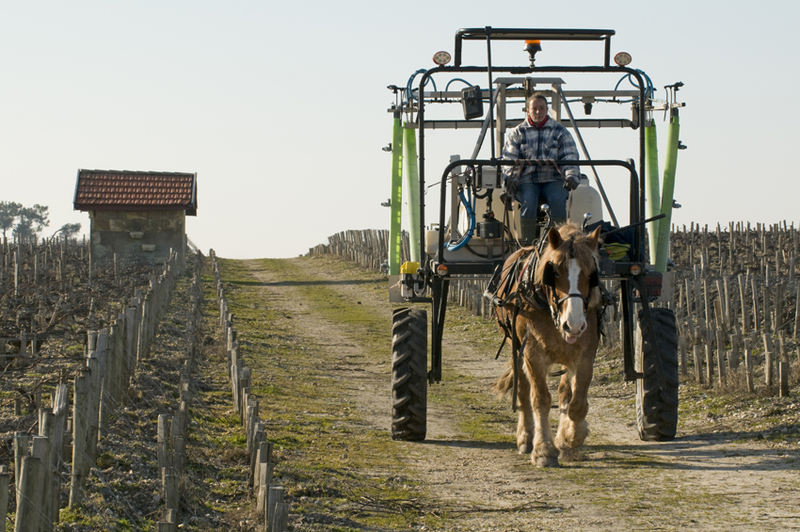 Tesseron wants all the vineyard work done by horses and is having equipment made especially for different jobs. When you are not fortunate enough to have a room in a chateau, then where to sleep and eat are high priorites. On my first visits to Burgundy I regularly stayed at a friendly and comfortable chambre d’hôte in Chassagne-Montrachet and was quickly pointed in the direction of L’Auberge du Vieux Vigneron at Corpeau for my evening meal. Le Chassagne restaurant next door to my B+B had recently opened but I did not have the budget to eat there every night. 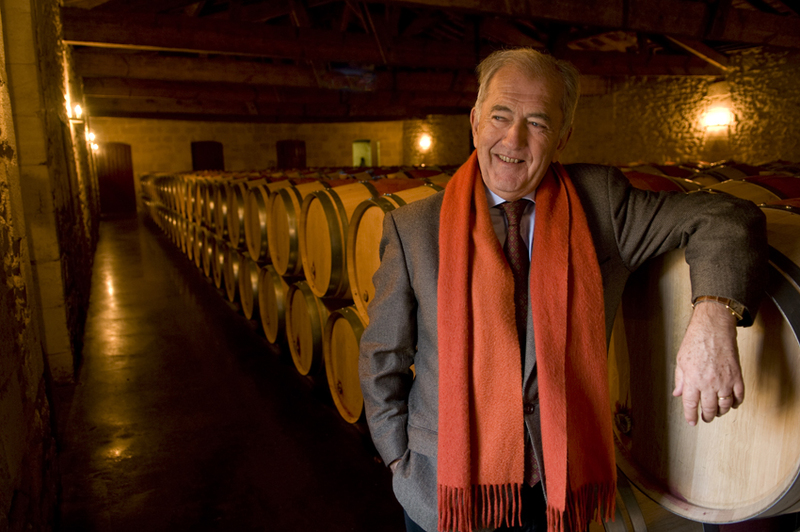 At Corpeau, not being on the tourist route, Vieux Vigneron’s clientele was a mix of canny tourists in search of quality and value as well as local winemakers. So it was, one Sunday evening, around 9.30, as I paid my bill and finished my glass of M. Fagot’s Bourgogne Rouge, that five local winemakers arrived and, before sitting down at a nearby table, made a tour of the room shaking hands with friends. Pierre-Yves Colin was one of the group, the only one I had met before and he kindly came to say hello. Minutes later I was invited to join them for a glass. They had just returned from playing for, or supporting, Chassagne’s local football team at a match in Chagny. We left there at midnight…. So finding John-Charles Fagot’s restaurant was something else that helped me feel less of a stranger. And I keep going back. This entry was posted on October 8, 2014 by jonwyand. It was filed under Uncategorized .